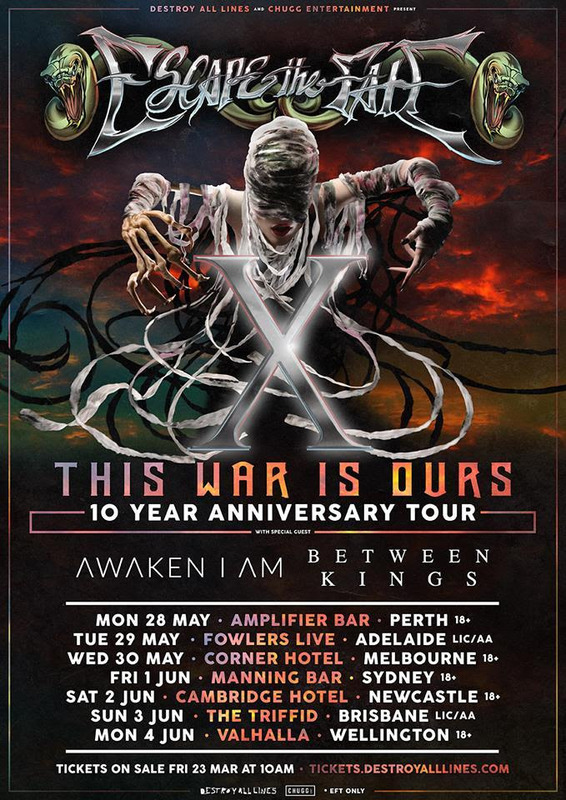 Brisbane, Australia post-alternative rock outfit Between Kings will kick off their stint as support for Escape The Fate and Awaken I Am's Australian tour on May 28. Dates run through June 4. The band will be out in support of their recently released debut LP, The Escape. Check out a music video for the title track "The Escape" below! 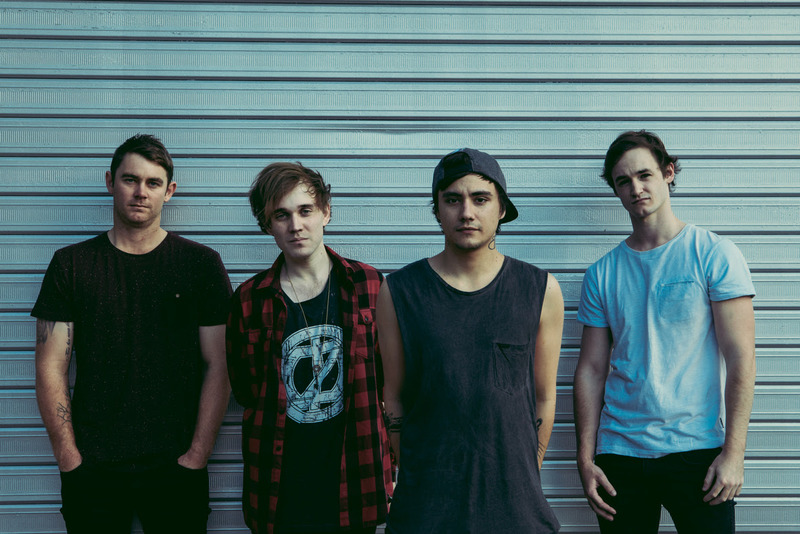 "This song is a window into the minds of four young guys from Australia," says lead singer, Nic Machuca, "It's our way of expressing our desire to dismantle the insecurities in life and create our own reality." Filmed in their hometown, "The Escape" video is a narrative delving into self-esteem and domestic violence that paired with driving rhythms, soaring melodies and lyrics like, "I won't leave you in the dark," and "I'll be your home" is uplifting, inspiring and emotionally triumphant. "We have poured our hearts and souls into this single and the entire album and believe this is the start of something special," adds Nic. The soaring track has over 160k spins on Spotify and has already garnered play on LA's KROQ and other key stations across the US. Between Kings play with an immediacy that has been missing from most modern rock. The band has developed a palette of songs that pour out of the speakers with emotional intensity and vitality. When Between Kings pick up their instruments they aren't playing songs, they are letting the audience take a listen to their most intimate thoughts and feelings. The songs they created to reach out and speak to their generation with inspiration emanating from Nic looking in the rear-view mirror on his early life experiences growing up in South Africa, surrounded by violence and crime to Jordan’s emotional passion from insecurities experienced as a teenager, Jayden’s born showmanship from life growing up watching his dad play gigs and Tricky’s desire to drum until there was a noise complaint.